...They wanted Celebrity Jeopardy. [Steve] Higgins had two funny categories already figgered. 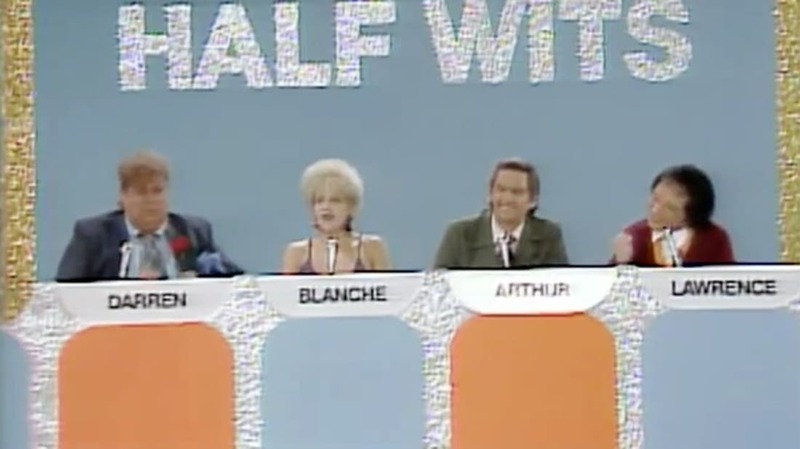 I came up with the idea of Celebrity Jeopardy years ago by stealing it, note for note, from an SCTV classic, Half-Wits. Higgins and I co-wrote the first one years ago and I waited for Martin Short to host so I could ask permission to steal. He said that Eugene Levy had written the original. We received permission and beside Darrel and I, the talented Mr. Short played Jerry Lewis. My favorite Half Wit here is Martin Short. "Swedish meatballs!"